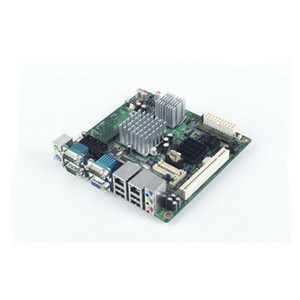 Intel Atom N230 MINI-ATX Motherboard N2M79 with Nvidia MCP79. 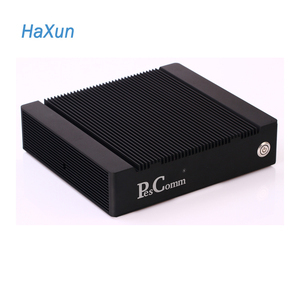 Support VGA,HDI,LVDS,PCI,mini PCIe,8USB,SPDIF.Fanless.For HTPC. Regarding the declared value on the package for customs clearance, we are pleased to follow your wishes, just feel free to inform us when ordering. 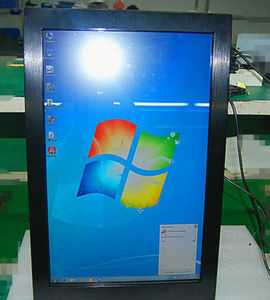 With many years development, our company has become a professional export & import enterprise and we also have our own rugged monitor and all in one pc. If you are interested in our products, please feel free to contact us for more details, and we believe that we can come to a win-win situation. H110 LGA1151 Core I3/I5/I7 mini ITX motherboard with DDR4, 4K DP port Feature: Support LGA1151 6th Intel&reg; Core&trade; i3/i5/i7/Celeron/Pentium Processor Intel&reg; H110 chipset 2* DDR4 DIMM memory slot, supporting dual channel 2133/1866MHz Memory, up to 32GB Integrated Intel&reg; HD Graphics 1 x VGA, 1 x DP, 1 x HDMI 1.4 interface Integrated 2 x RTL8111F GbE LAN, supporting Wake-on-LAN/PXE 1 x PCIE 3.0 x16 Slot Specification: IMB-P110 Model No. 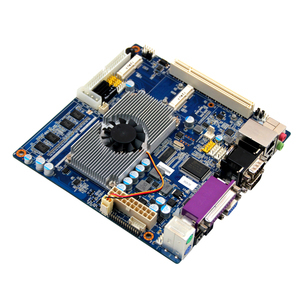 MITX-P110 Form Factor Mini-ITX Processor System CPU Intel Core i7/i5/i3/Pentium/Celeron Socket LGA1151 Max. Speed TDP Front Bus - L2 Cache L3 Cache - Chipset Intel H110 BIOS AMI 64 Mbit, SPI Expansion Slot PCI - Mini PCIe 1(Alternative to mSATA) PCIe PCIe 3.0 X16, 1 slot Memory Technology Dual channel DDR4 2133/1866 MHz SDRAM Max. With branch offices in 14 major domestic cities in China and 1 European sales and service center in the Netherlands. After-Sales Service * Training how to instal the machine, training how to use the machine. * Overseas distributor network and European Service Center in the Netherlands. LAN Integrated 2*Realtek RTL8111F Gigabit Ethernet;support wake on LAN/PXE. Storage Provide 2* SATA2.0 HDD interface, the transfer rate up to 3Gbps. Audio Integrated ALC662 6-channel high fidelity audio controller, support MIC/Line-out. 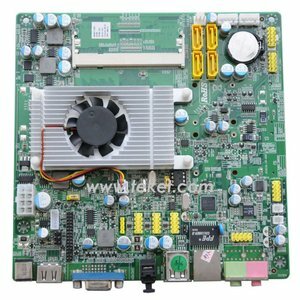 Guangzhou Ouman Electronic Technology Co., Ltd.
VB7007 industrial motherboard 17*17 MINI-ITX description: 1, VB7007 industrial motherboard 2, 100% full tested working 3, CPU Board 4, 30 days warranty 5, used About packing and shipping: pack bubble bag inside , strong packing box outside , different products has different package About US : Returning policy: 1) Full warranty against any defective product 2) Refund is for the product price only 3) Handling, postage and shipping charges are not refundable. 4) Defective product must be returned within 30 days of original arrival date. 5) Refund or replacement will be arrange after receipt of the returned item 6) Buyer must return item at his/her own cost All the products will 100% full test before shipping , if we can't test it , we will email you and let you know that . Shenzhen Qianyuan Computer Technology Co., Ltd.
X86 ubuntu OS Intel 1150 socket processor OPS small PC with sub card. Guangzhou Xiyang Electronic Co., Ltd.
Shenzhen Geshem Technology Co., Ltd.
264, MPEG2, MVC, VC-1, WMV9, MJPEG and VP8. HW Encode: H. 264 (MPEG2 and MVC only for J1900) DirectX11, OpenGL3.2, OpenCL1.2 HW Decode: H. 264, MPEG2, MVC, VC-1, WMV9, MJPEG and VP8. 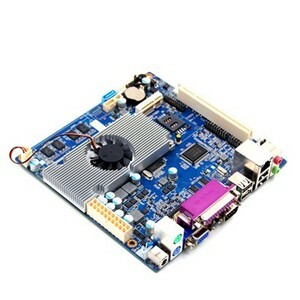 HW Encode: H.
Alibaba.com offers 85 intel atom n230 products. About 2% of these are motherboards, 1% are desktops. A wide variety of intel atom n230 options are available to you, such as integrated, integrated card. 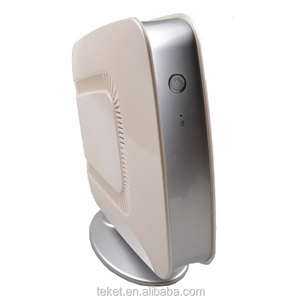 There are 4 intel atom n230 suppliers, mainly located in Asia. 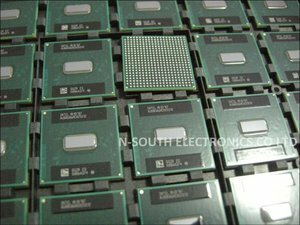 The top supplying country is China (Mainland), which supply 100% of intel atom n230 respectively. Intel atom n230 products are most popular in South America, North America, and Western Europe.